Julie Phillips is the facilitator for Safe Places for women. She joined the Insight Ministries team in March of 2012. She holds an MA in Pastoral Counseling and Spiritual Formation from Columbia International University. 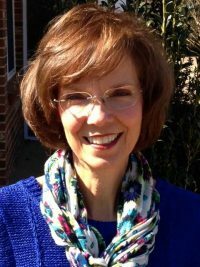 Julie is trained in biblical counseling with CCEF (Christian Counseling Educational Foundation); is a member of the American Association of Christian Counselors; is certified in Critical Incident Stress Management (CISM); completed certification in Recognizing and Reporting Child Abuse and Neglect; and is accredited as a Prepare and Enrich Marriage Facilitator. Julie and her husband Mike, an Associate Pastor at First Presbyterian Church, live in Augusta and have three adult children. Julie loves to grow plants that bloom; read Jane Austen novels; take mission trips to Haiti, and delights in rediscovering the simplicity of life with her two young grandchildren. Read the group descriptions by clicking here.